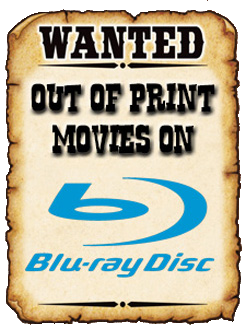 THE B-MOVIE NEWS VAULT: STOCK YOUR VAULT: New DVDs & Blu-rays for 06/20/2017! STOCK YOUR VAULT: New DVDs & Blu-rays for 06/20/2017! Hey Vault Dwellers! We're getting back on track here at the News Vault, with yet another edition of STOCK YOUR VAULT! This week we get a limited edition release of BIRD WITH THE CRYSTAL PLUMAGE from Arrow Video, TEN LITTLE INDIANS from Scorpion Releasing, and a limited 30th anniversary edition of the seemingly long-forgotten HACK-O-LANTERN! As cool as that all is, Scream Factory conquers the week by debuting the long out of print ISLAND OF TERROR on Blu-ray! They've also just released a nice Collector's Edition of THE LAWNMOWER MAN that is packed with extras and contains TWO versions of the film, as well as the highly anticipated PAUL NASCHY COLLECTION! 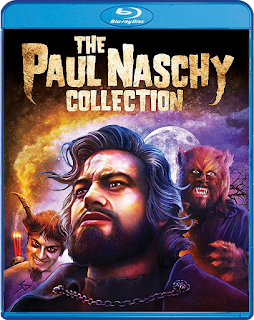 This multi-film set contains five classic Paul Naschy films including: VENGEANCE OF THE ZOMBIES, HORROR RISES FROM THE TOMB, BLUE EYES OF THE BROKEN DOLL, NIGHT OF THE WEREWOLF, and HUMAN BEASTS! There's several other titles that might rock your world, so be sure to scroll down to see the entire list! Contains: Necroville, Splatter Disco, Feeding the Masses, and Creature from the Hillbilly Lagoon.